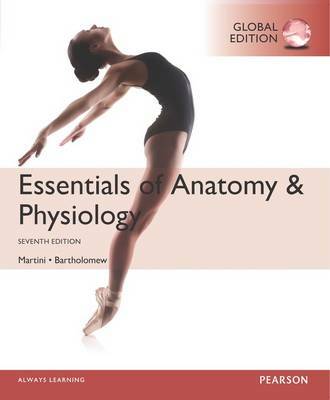 Guiding students through challenging A&P concepts Celebrated for its precise illustrations, time-saving navigation and study tools, and engaging clinical content, Essentials of Anatomy & Physiology is crafted especially for students with no prior knowledge of anatomy & physiology and little science background. The Seventh Edition eases students through tough A&P topics, answering the need to help A&P students learn and retain challenging content in the fast-paced one-semester A&P course. New book features, all supported by interactive Pearson Mastering A&P™ media, include new Build Your Knowledge activities, new Spotlight Figures Coaching activities, and new Bone and Organ Dissection Videos that help students study on the go. Pearson Mastering A&P not included. Students, if Pearson Mastering A&P is a recommended/mandatory component of the course, please ask your instructor for the correct ISBN and course ID. Pearson Mastering A&P should only be purchased when required by an instructor. Instructors, contact your Pearson representative for more information. Pearson Mastering A&P is an online homework, tutorial, and assessment program designed to work with this text to engage students and improve results. Instructors ensure students arrive ready to learn by assigning educationally effective content before class, and encourage critical thinking and retention with in-class resources such as Learning Catalytics™. This title is a Pearson Global Edition. The Editorial team at Pearson has worked closely with educators around the world to include content which is especially relevant to students outside the United States.